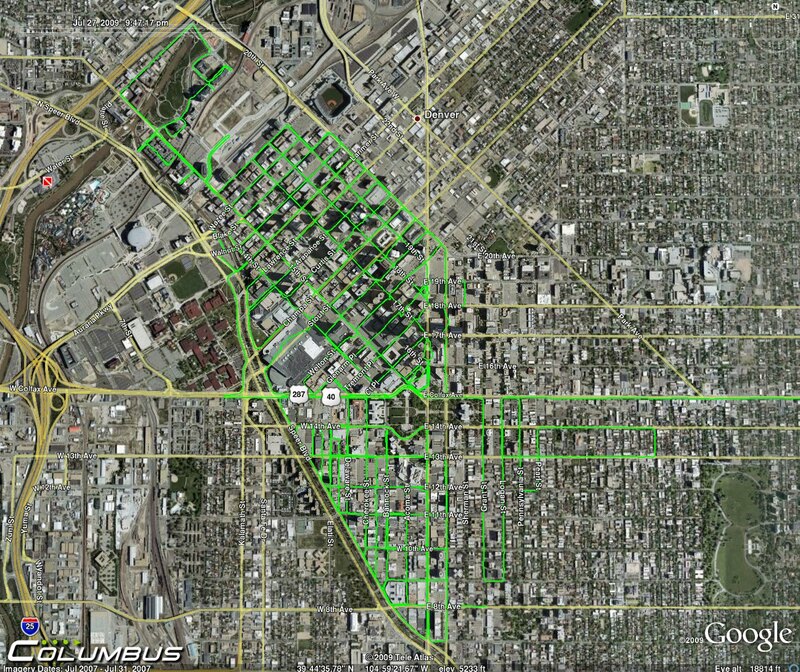 On July 27th, we carried out a thorough scan of 802.11 networks in downtown Denver. 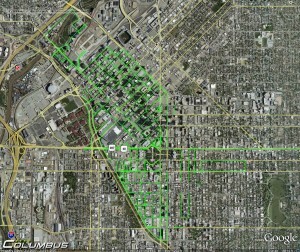 A Columbus V-900 tracking device was used to log location and path, validating that all streets and alleys were traversed. Meanwhile, an iPhone 3G and Wififofum were used to detect and log detected networks, their location, and attributes. 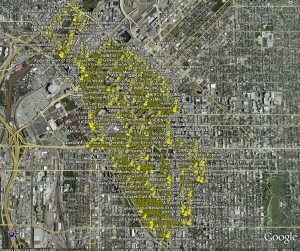 The area bounded by Speer Blvd to the SW, Broadway to the East, and 20th Avenue to the NE were covered. Total area traversed was approximately 1.4 square miles and 125 square blocks. 9,522 networks were detected in ~200 minutes. 11.8% of the networks observed were hiding their ESSID, 88.2% were broadcasting. On average, a new wifi network was discovered every 1.3s during the scan. Total population of the scan area is not known. A portion of the area, though, known as the Golden Triangle, has a population of 630 residents. 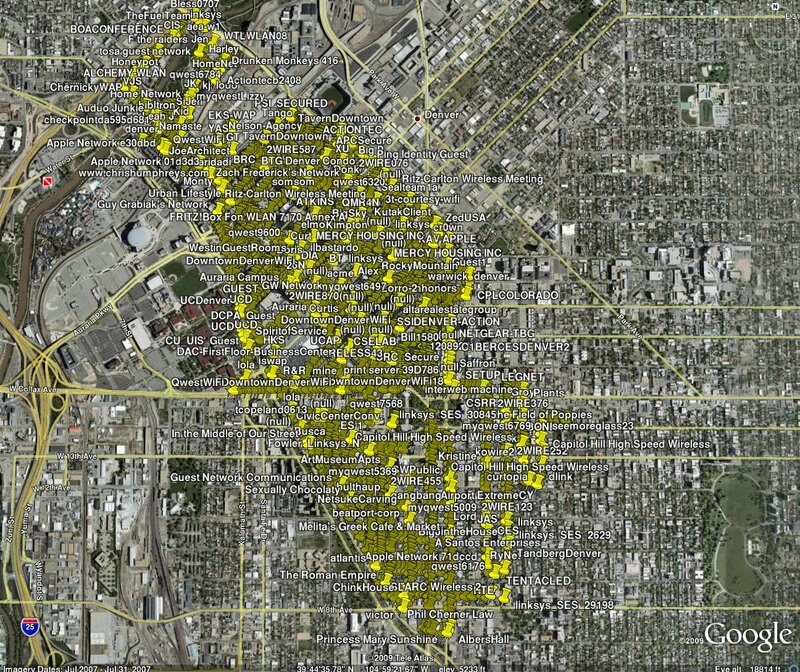 In that neighborhood, 1506 networks were detected, for a total of 2.4 access points per person.